Our fourth grade spelling bee was held Thursday, November 15th. The competition was fierce! After 22 rounds, Maddox Davis correctly spelled supposedly for the win. 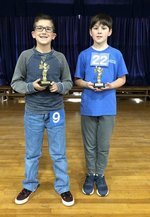 Congratulations to Maddox and Cameron Brunelle (runner up) for their hard earned victory! 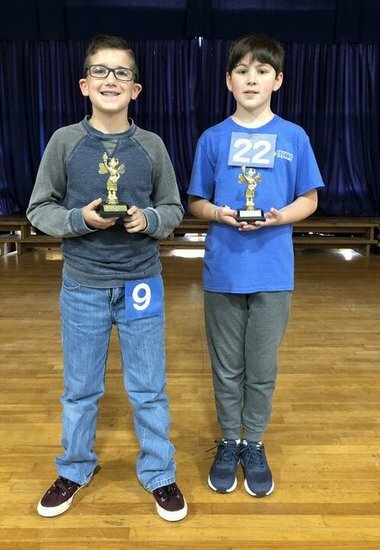 They will go on to compete at the Lauderdale County Spelling Bee.